Stories from the journey filming The Elements. Nomads of Central Asia travel through some of the toughest climates in the world. Depending on traditions or conditions of the region their means of travel vary from horses to camels to reindeer, but one thing remains constant: the yurt. This one here is a traditional Kazakh kiiz ui -similar to a Mongolian ger. You can easily tell what tribe a family belongs to simply by noticing the array of details on the yurt. 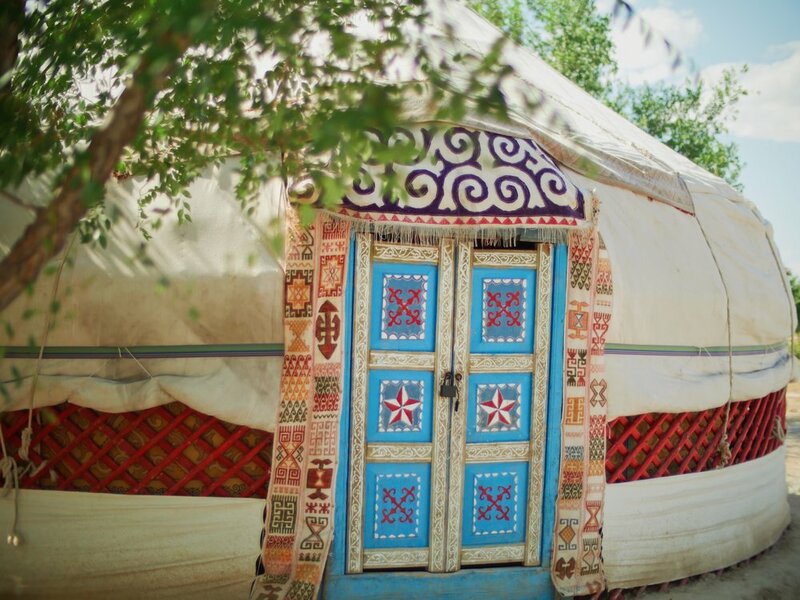 For instance the sky-blue color on the yurt's door is associated with ancient Turkic beliefs such as Tengrisim. A Tuvan lady in a silent taiga of Bayan-Ölgii, Mongolia sheared off the fleece of her sheep and yak, already getting prepared for fall in July. The locals call this taiga “Artyshtyk Oyouk” and it’s a vast area full the most important resources for nomads; water and grasslands. Ene-Sie is a band that consists of some of the most influential Tuvan musicians. I had met Saidash Mongush(right) in Mongolia several weeks before and with the help of my dear friend Omak Ondar(white t-shirt) we were able to get this Mongolian style yurt space, along with couple of hours of the Ene-Sie's time. This photo was taken right after our long video shoot. My dear friend Eren Yalçınkaya (next to the drum) gave me a hand with the set-up of the yurt, and our friend Saylyk-ma(girl right in the middle) translated all the dialogues between the band and I.